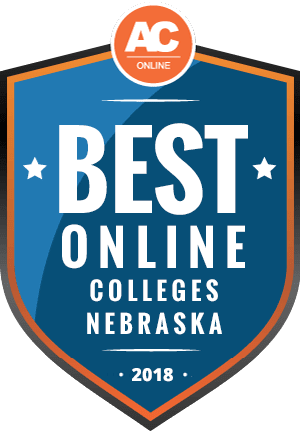 Why Choose Nebraska for Online Higher Education? The Georgetown Center on Education and Workforce projects that the demand for professionals with postsecondary education will increase through 2020. The same data says that 38% of Nebraskan employers look for candidates with some college or vocational school experience, while 24% require a bachelor’s degree. Furthermore, 8% want incumbents to hold a master’s or doctoral degree in their field. The fastest growing occupations listed by the Bureau of Labor Statistics projects require postsecondary education. The increased availability and flexibility of online schooling makes college available to more people than ever. This article seeks to provide pertinent information and resources about affordable online degrees in Nebraska. Higher education institutions understand that their students increasingly need access to coursework outside of traditional classrooms. In Nebraska students have access to 48 programs offering completely online coursework. These accredited programs explore the full span of knowledge within each content area. Online universities in Nebraska currently provide distance education to over 18,000 students in the U.S. and internationally. While online education removes geographical barriers, out-of-state distance learners should consider tuition rates. The data below reveals that out-of-state students attending four-year public institutions in Nebraska typically pay more than double of what residents pay. Likewise, out-of-state students attending two-year public schools pay about $1,000 more than residents. While online programs offered at traditional brick and mortar schools apply nonresident tuition fees, online-only schools may charge one flat rate for all students. Students can also establish residency within 12 months of application to qualify for in-state tuition. Nebraska schools charge less than the national average for both in-state tuition and out-of-state tuition at four-year public schools. Similarly, average tuition for two-year institutions in Nebraska also fall below the national average. Students should be aware of the many factors that influence tuition. On-campus tuition rates often include housing, meal plans, and lab fees, while distance learners often pay for digital resources needed for online coursework. The list below includes examples of base tuition rates in Nebraska. Nearly 9,000 nonresident students earning a bachelor’s or master’s degree attend classes completely online in Nebraska. While most Nebraskan universities charge out-of-state tuition fees, students may qualify for reduced rates through reciprocity agreements. Students should note that requirements often vary by state, and participation varies by university or college. Nebraska is one of 10 member states in the Midwestern Higher Education Compact (MHEC), an organization that oversees reciprocity agreements between multiple states. Through the MHEC, public and nonprofit schools charge out-of-state students no more than 150% of what residents pay, while private schools reduce fees by 10%. While the amount of savings varies by school, between 2017-2018, Nebraska reported that their students saved about $1,167,480. While the MHEC recognizes all public, private, and nonprofit schools in each state, students should note that schools retain the right to limit participation. The State Authorization Reciprocity Agreement (SARA) strives to make education more accessible. Schools affiliated with SARA strive for uniform standards which can help students avoid unnecessary tuition costs. While a state may hold active membership, schools can choose not to participate. Currently, 25 schools in Nebraska hold SARA approval. Students should also note that SARA covers individual classes, as well as entire programs. Students should verify the coverage level of their chosen program. Tuition rates are ultimately program- and institution based. Ask someone from a prospective program about what rates apply to you specifically as a potential member of a specific program. There are multiple factors to consider when selecting an online program. The ranking below considers the breadth of distance programs, student-to-teacher ratios, student resources, and job availability for graduates. This ranking also places particular emphasis on affordability. This includes average financial aid awards, the percentage of students receiving scholarships from their school, and average tuition for full-time students. Nebraskan college students can find detailed information in the list below. It is common for students to have questions when making choices regarding their continued education. The section below contains commonly asked questions regarding online education in Nebraska. Do Online Credits Cost More or Less in Nebraska? Students should be clear about their academic needs, as online tuition varies by school. Students concerned with affordable rates may want to consider a public or nonprofit university over a private school. Nebraska’s 2015-2016 data report indicates that many Nebraskan schools often charge residents $20-$40 more for each credit hour. However, out-of-state students pay much less for distance education than on-campus nonresident rates. The most affordable online programs in Nebraska often reduce overall cost by not having a physical location. As online programs continue to emerge, students should ensure their chosen schools are fully accredited, either regionally and nationally. Which Nebraska Schools Accept the Most Transfer Credits? Generally, schools in Nebraska accept a maximum of 60 credits from two-year institutions, while some schools accept up to 90 credits from four-year schools. Students who live in states that participate in the MHEC or SARA qualify to transfer their credits as long as they submit official transcripts and meet the school’s transfer admission standards. All students should ensure their current program holds regional accreditation. Students from nationally accredited programs may only transfer to other nationally accredited schools. The Nebraska Department of Education provides detailed transfer information on their Transfer Nebraska webpage. Students should select the Nebraska school they wish to attend and which institution they are transferring from. If students cannot find information about their degree, they should contact the university directly for additional information. Many schools have a credit evaluation policy that highlights important requirements and outcomes. For instance, the University of Nebraska-Lincoln has an online equivalency list that allows students to search for their institution and obtain detailed information about the transfer process and compatibility. Will Any Online Colleges in Nebraska Accept a GED? GED Testing Service data reveals that 98% of colleges and universities accept the GED as a valid credential. In fact, American Council on Education data indicates that over 18 million people have earned a GED since the creation of the exam in the 1940s, with 800,000 taking the exam last year alone. Students must take the GED exam at an approved facility with a proctor. The GED exam has the same rigorous standards as a high school diploma. In fact, GED Testing Service data indicates that only 60% of graduating high school seniors could pass the exam on their first attempt. The exam includes 2,250 points. While 145 is the standard passing score, states can raise the base standard if they choose. In Nebraska, students must earn a 600 on the exam to pass. How many academic terms per year do online colleges in Nebraska offer? Traditional schools often follow fall, spring, and summer enrollment dates to boost selectivity and accommodate the demand of the screening process. However, many online schools offer flexible enrollment dates to appeal to as many students as possible. Many online learners identify as nontraditional students who have family and professional obligations. This makes the increased flexibility offered by online programs increasingly attractive. School enrollment flexibility varies by school. For instance, Chadron State College has rolling admissions, multiple start dates, and follows eight-week course structures. Similarly, Concordia University Nebraska offers multiple online programs that follow shorter semester structures, which allows students to begin classes throughout the year. On the other hand, Clarkson College offers start dates every six weeks for their accelerated programs. While some schools offer multiple start dates for all of their degrees, some schools only offer flexible enrollment for some programs. Students should check if their degree path qualifies by visiting the school’s website, or contacting the admissions office. Which Online Colleges in Nebraska Will Accept the FAFSA? Almost all public and private schools will accept the FAFSA. To qualify for the FAFSA, students should only consider online programs that hold a valid regional or national accreditation. Additionally, students should consider enrollment status as it impacts eligibility. Students must maintain at part-time enrollment at minimum to qualify for assistance. Financial aid provides a variety of funding, which includes unsubsidized and subsidized Stafford loans, Perkins loans, grants, and work study. Students should be aware that many online schools do not offer work study. However, some schools might offer research work study placements that would allow students and mentors to work remotely. Are There Any Free Online Classes I Can Take From Nebraska Colleges? Free classes exist throughout Nebraska. For example, the University of Nebraska offers a four-week course on advanced biocontainment in healthcare facilities. This course prepares students to handle patients suffering from an extreme pathogen. The University of Nebraska also offers a health literacy and communication for health professionals course where students explore educational strategies for increasing health literacy and communication skills. Course objectives include understanding target populations, consequences of poor health communication, and the role of health literacy in other disciplines. At Creighton University, students can enroll into a free class on navigating professional and personal interactions. The course teaches students strategies for effective decision making and conflict resolution, with a focuses on self improvement and personal growth. Nebraska Wesleyan University offers four free online courses including social psychology, modern and postmodern history courses, craft and plot creative writing, and a craft of setting and description creative writing course. These course range from 4-7 weeks in length. How Can I Find the Online Program Options at Nebraska Colleges? The Nebraska Commission for Postsecondary Education website contains valuable information about higher education institutions in the state. To find the best online programs in Nebraska, students can look through the state directory of postsecondary institutions. The state government site also includes a college navigator tool, which allows students to search schools based on specific criteria. This tool also allows students to do side-by-side comparisons. Additionally, the state site offers students college planning assistance through EducationQuest and Nebraska Career Connections. EducationQuest helps students identify the best schools for their academic goals, complete the FAFSA, find scholarships, and explore career options. Similarly, the Nebraska Career Connections program offers free materials to students who plan to pursue a career in Nebraska. The Nebraska.gov website also includes detailed information about financial aid, scholarship, and grant opportunities. Financial concerns are a major factor for many prospective students. Fortunately for people seeking to pursue an online degree in Nebraska, many learners qualify for financial aid. The Pell Grants cover a large portion of tuition and requires no repayment. Students earning an advanced degree or who do not qualify for grants may still qualify for scholarships. The list below contains possible options. Education majors who are pursuing a career path in childhood education in Nebraska may apply. Students earning an associate degree must work at least 30 hours per week. Students earning a bachelor’s degree must already hold an associate degree or have completed the required courses. Graduates must work in their sponsor center for at least 18 months after graduation. The Barrientos Scholarship Foundation strives to help ambitious students pay for their education. Applicants must show proof of financial need and demonstrate how they contribute to their community. Students must submit two letters of recommendation that discuss the applicant’s moral character. The Lincoln Community Foundation offers this scholarship to high school students with at least a 3.25 GPA. Application requires copies of high school transcripts and three letters of recommendation. The Urban League of Nebraska offers scholarships to graduating high school students. Applicants must submit their official transcripts, and two recommendation letters. Additionally, applicants must provide a 250-500 word essay discussing personal goals, and reasons they qualify to receive this scholarship. Students must have a minimum 2.5 GPA.